Dawnstar's first concert was held on 19 September 2000 in Budapest, Hungary. The concert was organised by the band members and mainly relatives were present. The venue for the gig was weekend-house owned by Bálint Hamvas's grandmother, located in Normafa, Budapest. The band had been rehearsing since early spring of 2000, when they decided to organize a concert. In an interview Attila Wind said that "we didn't want to play a live show in front of a crow od unknown people, we were just so afraid. So we decided to play a show for our family members. It's a common practice with novice bands". In the spring of 2000 the band started rehearsing in the weekend house of Viktor Albert's parents. One of the first songs they practiced was Never Say Die and Arvensina. They thought these songs are the easiest to start with. Then obviously the started to practice the other songs from the band's demo Vanity Star. 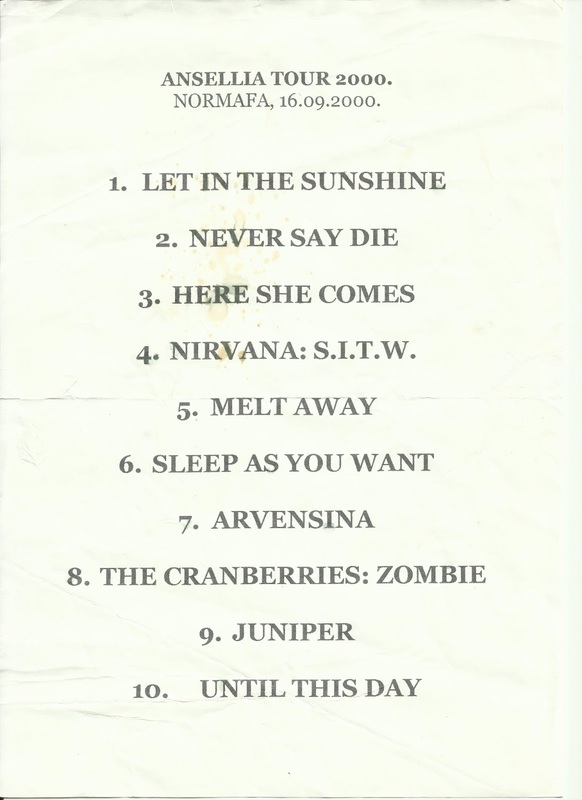 Since the enitre demo was fewer the 30 minutes, the band decided to include some other songs in their autumn show. One of the covers was Something In The Way by Nirvana and the other was Zombie by The Cranberries. In an interview Attila Wind said that "Something In The Way was a good choice since all band members liked Nirvana. However, singing Zombie was a big challenge for me at that time. So later we abandoned the song." 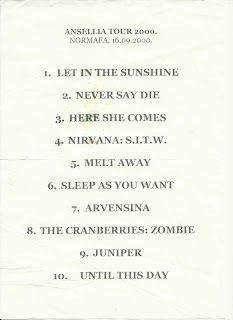 So during the summer the band put together a 30-minute show including the enitre Vanity Star demo and two covers. Since the band members owned their instruments, none of the items of the equipment had to be borrowed for their first gig. Attila Wind played with his Ibanez RX40 using his amp Laney HC25, while Bálint Hamvas played his Ibanez TRB80 amplified by his Laney HC25B. Viktor Albert played his first drum kit the Amati.